Creating You Are Not a Banana: Better Edition – Fluxscopic Ltd. I remade my debut game You Are Not a Banana from the ground up and released it just in time for the Steam Summer Sale. The Better Edition features improvements and updates based on the player feedback it received. This article provides an overview of some of the new features, tips on the dev process, and links to handy tools/plugins. 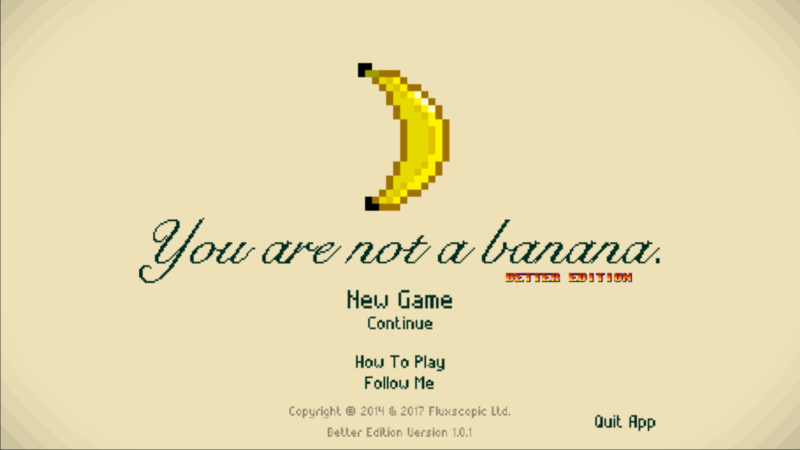 I may have gone against conventional wisdom when I decided to revisit and re-release my first game You Are Not a Banana. Many articles advise devs to move on to their next project as soon as completing their first. I too followed this advice and moved on to create the Mayhem in Single Valley Demo. However, while waiting on funding decisions I decided to update You Are Not A Banana to the new "engine", which had been designed for Mayhem In Single Valley (Note to self: I got to work on shorter game titles). Over the past few months I've been developing both games in tandem - one informing the other. Again, I think another game dev ‘best practice’ rule broken. I would create a feature or code improvement in one game, and if relevant, jump straight to the other game and add a tailored version of it there too. The You Are Not A Banana: Better Edition remake took me about four months of solid work to complete. For the Better Edition I really tried to address all the feedback, reviews, and comments I had received and to include more of what players liked. I will add further improvements and content over time, such as a speed run and treasure hunt mode, and two fun mini games. Below is an overview of some of the new features and improvements in the new build, with tips on the dev process, and links to handy tools/plugins. I rebuilt the entire game from the ground up, converting all of the code from Unity script to C# with the aid of CSharpatron. Converting the code also allowed me clean up and improve upon the old code based on what I had learned making Mayhem In Single Valley. I decided to add autosaving, manual saving, and instant checkpoint loading. Players were rightly frustrated by not being able to save the game at any point. Implementing this feature was one of the more tricky and time-consuming aspects to solve and required a lot of case sensitive coding and play testing. I revamped menus and UI (e.g. separate music and sfx volume controls). 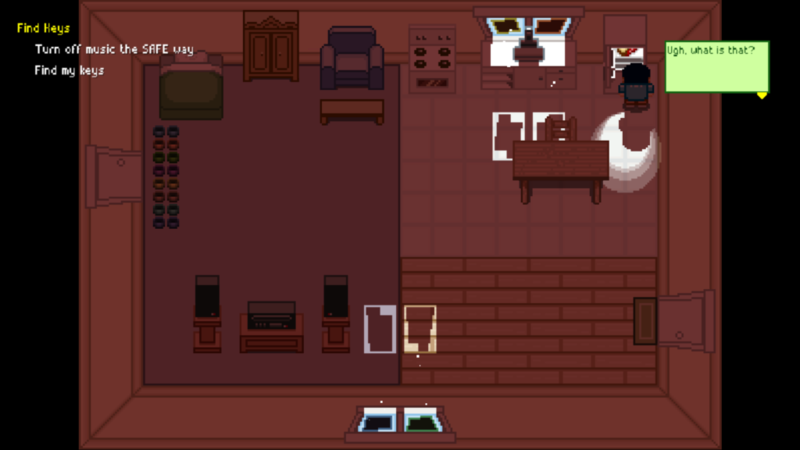 In general, I aimed to give the player as many options as possible while keeping the menus simple, intuitive, and to a minimum. I moved all the sound from the old FMOD Designer to FMOD Studio. At the time coupling FMOD to Unity was pretty tricky and documentation was poor. But how time flies in the tech world. For the Better Edition I was able to use FMOD's Unity Itegration plugin which really stabilized the sound when compared to the sometimes buggy audio of the first version of You Are Not A Banana. Many players felt that movements in the original version were a bit slow and clunky. To avoid walking simulator syndrome I added a run feature and speeded up most of the game animations. I moved all of the movements from time based to physics/forces based movements. This gave the main character a bit of inertia (smoother stops and starts), added a sense of weight, and gave a more fluid feel to controller input. 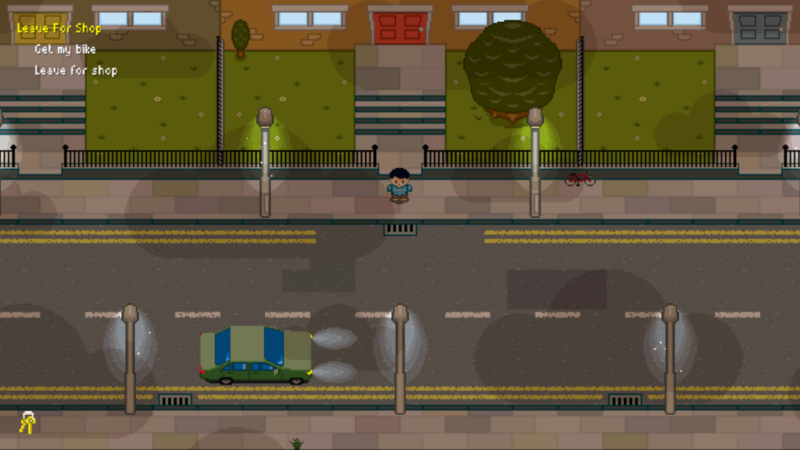 I incorporated a new dynamic lighting system which allowed me to change the mood of the original 2D environments dramatically. Now the weather brightens/darkens to reflect the mood of a scene. I also colour coded scenes. For example, the scary neighbour’s apartment, with the boarded up windows, is lit in a deep and foreboding red. On a more technical level, I made all outdoor assets widescreen (16:9) and added a customized version of a retro AA filter to remove jaggies and shimmering. Although the new engine allows for various screen ratios, adaptive menu, and so on, this proved problematic with regards to level design, especial for mini games. 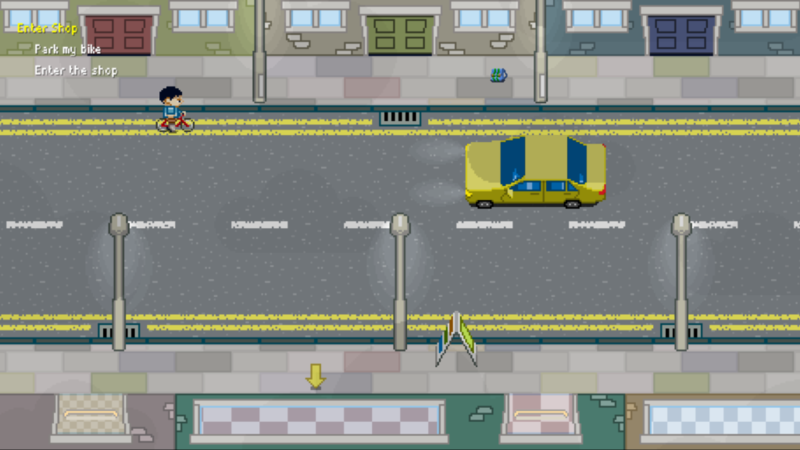 For example, in the bike chase mini game a player with a wide screen would have a larger preview of oncoming traffic than a player on a narrow screen. So I decided to fix the aspect ration to 16:9 using the Aspect Ratio Enforcer script by Eric Haines. 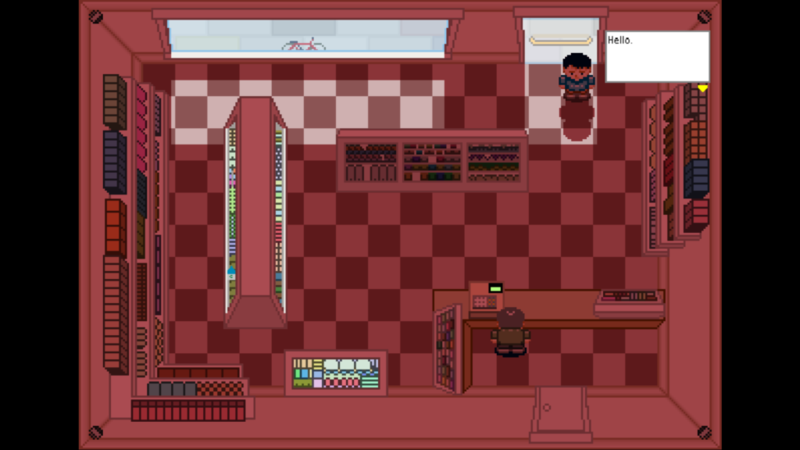 While it uses letter boxing (black bars top and bottom of screen) it allowed me to compose the look of a scene with accuracy and to make the mini-games function the same way on any screen size. As a bonus, the black bars give the pixel art a big budget movie production feel. Since making the original edition I discovered Aesprite. I highly recommend this pixel art drawing and animation package to anyone working with sprite sheets and Unity. In Aesprite, you can add tags to animations and by using Stephan Hövelbrinks' Aesprite to Unity plugin I was vastly able to speed up the pixel art to Unity workflow. In general, Stephan's plugin converts animation tags in Aesprite to create fully labeled sprite sheets, animation controllers, and animation nodes in Unity. 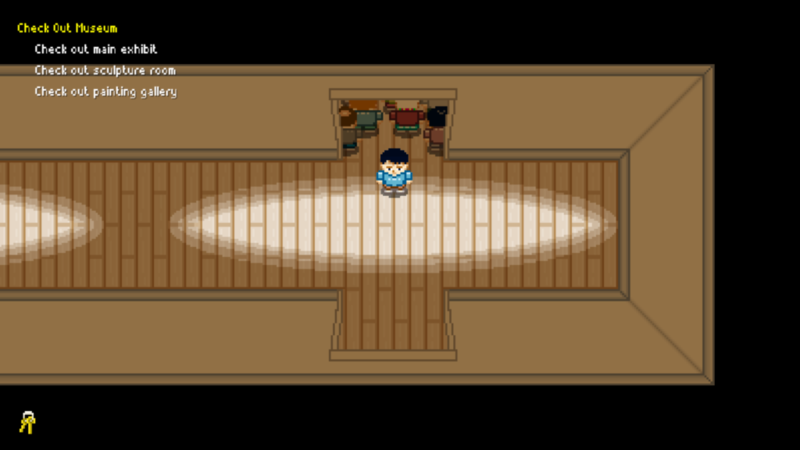 As the game has a bit of a random exploration vibe I decided to include lots of secrets and hidden story events. It became apparent that such events were perfectly suited to, and could run in parallel with, Steam Achievements. The most obscure achievement is the Death By Freeform Jazz achievement. A great local programmer (thanks Andrew Perrault) volunteered to help me incorporate 25 achievements using Steamworks.NET as time was running out to get the Better Edition released for the Steam Summer Sale. I also added improved signposting. One level where you searched an infinitely large graveyard for a magic grave using sound, in an auditory version of hot and cold, cause a lot of frustration. 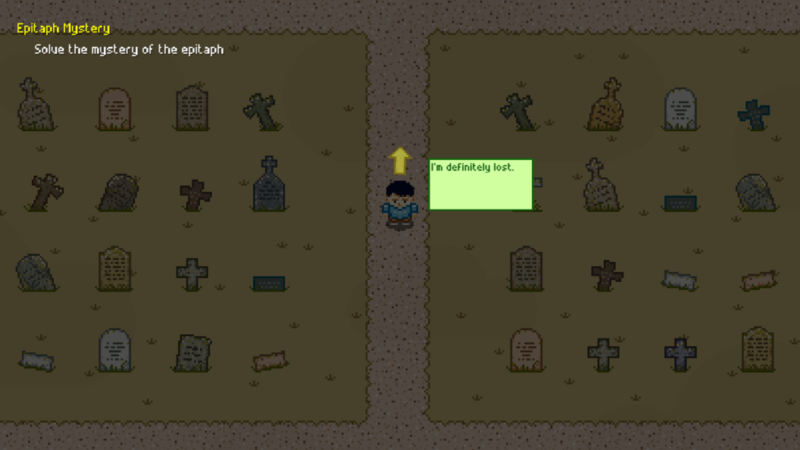 I added clauses that would initiate a pointer if the player wandered too far off the beaten track. The point direction randomly fluctuates so as not to reveal the exact location of the grave. 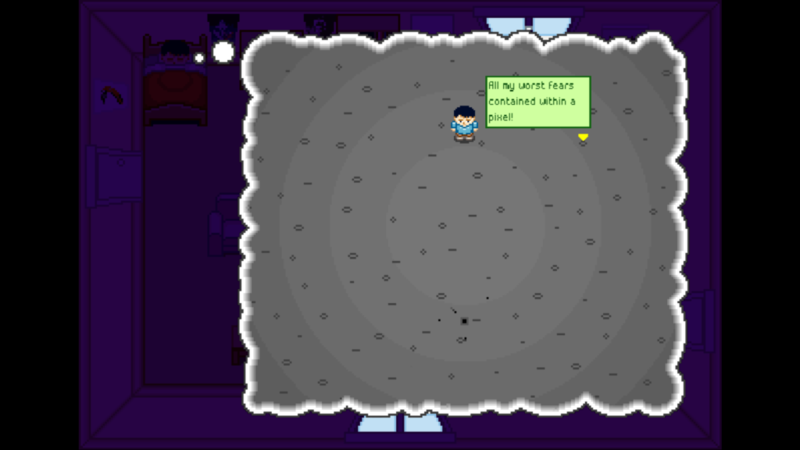 It also fades away once the player gets back to the edge of the auditory hot and cold game. I was aiming to remain a purist about how the audio functions, but a combination of visual and auditory clues seems to work best in subtly directing the player’s actions. The game also has 50% funnier jokes. Don't believe me? Why not check out You Are Not a Banana: Better Edition on Steam for yourself! Copyright © 2014 Fluxscopic Ltd.